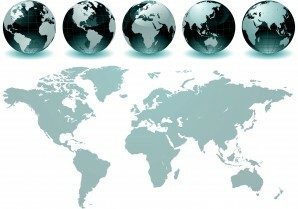 Interactive, Inc. has contributed to educational improvement in 25 countries. Dr. Mann is an expert in large-scale, national applications of program evaluation, educational technology and school reform. Dr. Mann is the founding Chair of the International Congress for School Effectiveness and Improvement (ICSEI) with members from 66 countries dedicated improving schooling for the neediest children. • For the Kyoto Computer Gakuin, a multi-year analysis of the outcomes of Japan’s first graduate masters program in technology management. • For Benesse (Fukutake), a multi-year evaluation of the firm’s early childhood “serious play” curriculums. • For the Open Society Fund and the World Bank, outcome and implementation evaluations of school improvement programs in eight countries of the former Soviet Union. • In Russia, India and Korea, development of virtual secondary schools linking Canadian educators with children from those countries. • For the Australian state of Victoria, design and implementation of the “Digital Chalk” project to harness digital graphics technology to the improvement of learning. • For the United Arab Emirates Ministry of Education, participation with CELT Corporation in designing the country’s school transformation with technology. • At the request of the USSR, consultation on the first generation perestroika of its schools. • With the Soros Foundation, creation, support and maintenance of networks of administrators to reform the national school systems of Russia, Ukraine, Kazakhstan, Kyrgyzstan, Latvia, Lithuania, and Estonia. • In the UK and France, creation of networks of mentor teachers for classroom improvement.